With a limited range on offer in some of Nottingham's more prominent chain venues this list is a chance to highlight some of the amazing independent retailers we have in the city alongside some choices you might not have considered. 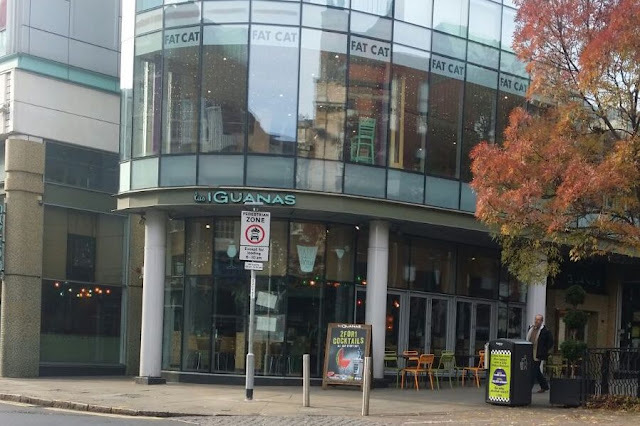 Las Iguanas- Vegan Delights with a South American twist. If you like something that little bit exotic, La Iguanas is a great option. With a separate Vegan and vegetarian menu catering for the fussiest of tastes and allows you freedom if other diners in your party aren't vegan. We recently visited for a taste test and were blown away by the variety of options. 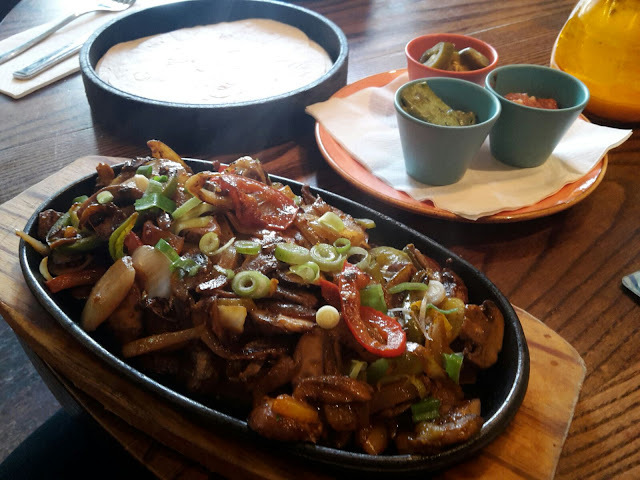 From the well recommended three mushroom fajita to the amazing Moqueca de Palmitos, a creamy coconut curry. The Alley Cafe Bar. A long established vegetarian cafe and bar in the heart of Nottingham city centre. The Alley Cafe Bar serves up a great selection of vegan options on it's broad range of menus alongside a selection of special monthly events and chilled environment. It's a cross between a bar and continental cafe. Whether you want to pop in for a glass of wine of an evening, breakfast or a three course meal the Alley Cafe has everything you could need. Possibly Nottingham's Best Vegan Burger- Annies Burger Shack. A Nottingham institution, Annie's is in the heart of the Lace Market and offers arguably the best choice of burgers of anywhere in the Midlands. They offer Vegan and Vegetarian options as well as being able to tailor dishes to individuals tastes and needs. It's a real treat for many of our Vegan friends. Expect to pay £9-£13 for a burger but expect the works. Cafe Roya in Beeston is a little way out of the city although with Beeston being close to Nottingham University it's somewhere to keep the discerning vegan and vegetarian students well nourished. With quite an extensive vegetarian menu with a flamboyant edge. With the recent addition to the tram line out to Beeston and beyond it is however very accessible. Expect to pay £6+ for starters and desserts and around £12 for mains which is fantastic value for gourmet Vegan food. Kayal offers Indian cuisine a little different to much of what we're used to. By concentration on Keralan cuisine they offer a wide selection of vegan friendly dishes. Keralan food is heavily vegetarian orientated so expect plenty of choice. Try the Cheera Parippu which we recommend. Where are your favourite places for Vegan food in Nottingham? We'd love to hear from you in the comments below.